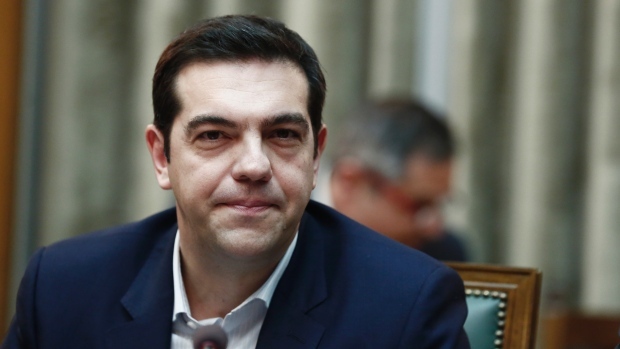 And another reminder – Alexis Tsipras, for the last two and a half years, since 26 January 2015, to be precise, has been selling his soul (if he has one), and more importantly, the country that trusted him, to the western crime oligarchs, i.e. the IMF, the European Commission, akin to the European (non-) Union and the Goldman Sachs-run European Central Bank – and Germany. James Petras calls him the Traitor of the year. This may be an understatement. How can anybody in his clear mind think or pretend that this will help Greece out of its strangulation? – It is sheer Suicide that you, Mr. Tsipras and your spineless fellow Members of Parliament are driving your country to commit; slow and hurtful hara-kiri. Not you, of course, Mr. Tsipras. You will be rubbing elbows with the elite that is destroying your country. Have you given your people a rational justification, why they should continue to suffer? Why are you still reluctant, even unwilling to talk about exiting this horrendously corrupt construct called the European Union with its fraudulent, dollar-based and totally unsustainable currency, the euro? To the people of Greece – why do you accept this humiliation, this betrayal, this usurpation of your resources, robbery of your social capital – your beautiful country – destruction and humiliation of your rich culture, philosophy, mathematics your forefathers created and that have spread around the globe? – Why do you allow this crime being perpetrated upon you – your children and children’s children? –This colossal crime will put future generations in peril.